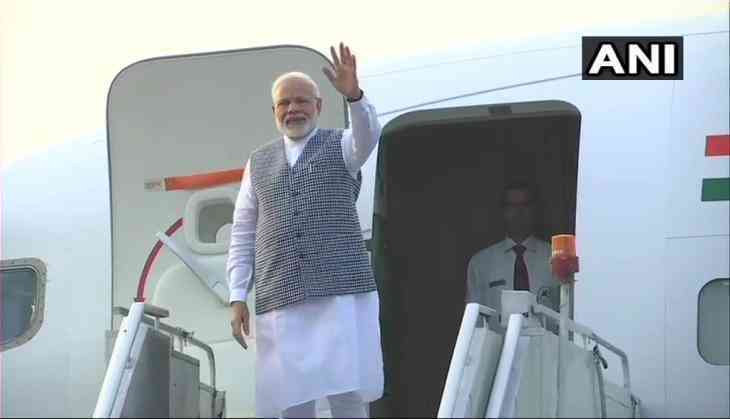 Prime Minister Narendra Modi will be arriving in Kathmandu on Thursday for the fourth Bay of Bengal Initiative for Multi-Sectoral Technical and Economic Cooperation (BIMSTEC) summit, by 8:30 am (local time) via a special chartered flight. Along with Prime Minister Modi, his Bangladeshi counterpart Sheikh Hasina Wazed will arrive at 9:15 am and Thai Prime Minister Prayut Chan-o-cha will be arriving Kathmandu at 10:15 am. "Nepal's only International Airport, the Tribhuwan International Airport will be closed for about two-and-a-half hour for the arrival of the VVIP's for the 4th BIMSTEC Summit," the Air Traffic Controller Room (ATR) of the airport informed. "No flights will land or take off from the airport from 8:30 am (local time)," it added. State Heads and representatives from Bhutan, Myanmar and Sri Lanka already are in Nepali capital Kathmandu. A four layer security arrangements has been made for the head of the states of BIMSTEC member nations, which comprises Nepal Army, Armed Police Force, Nepal Army and National Investigation Department. The Nepal Army is designated to take on the central charge of the security during the BIMSTEC Summit, but the Indian Prime Minister has opted to bring on security of his own. "A total of 35 special commandos for the security of Prime Minister Modi already have arrived Kathmandu late last week. They were stationed here to access the security situation and clearance for the Indian Prime Minister's arrival, alongside they also will be stationed in and around the venues he will be present," source inside the Indian Embassy in Nepal informed ANI. Along with the special security force, three bullet proof cars also have been brought to Nepali Capital Kathmandu last week. But the head of the state of other member states will be given security by the Nepali Security officials. The organizer Nepal has deployed about 30,000 security officials for the summit. On the sidelines of BIMSTEC Summit, Prime Minister Modi is expected to have a meeting with Bangladeshi Prime Minister Sheikh Hasina, the source added. Prime Minister Modi will be also handing over the hospice built in the premise of the Pashupatinath in Indian aid to Nepal. The foundation stone to build the hospice in the Pashupatinath Temple premises was laid in 2001 and it will be handed over to Nepali Prime Minister KP Oli on Friday. The hospice is claimed to have facilities like that of three star hotel and the Indian Government has given assistance of 22 crore Nepali rupees. It can host about 398 pilgrims at a time, which has 82 rooms in total. The summit will be held from August 30 to August 31. BIMSTEC, the regional group of seven countries which lies near the Bay of Bengal, includes Bangladesh, Bhutan, India, Myanmar, Nepal, Sri Lanka and Thailand.